Firstly there should have been a blog yesterday describing how Steve Hurford and myself went to Seaton and caught lots of big mullet but despite seeing loads and having them swim around our floats we never had a bite between us all day. To be honest the weather wasn’t great for it and we had a fair bit of rain but I still enjoyed it and the highlights were an excellent bacon and sausage sandwich in the morning and Hurf getting a wet foot when he slipped down the bank although I wasn’t quick enough to get a photo! Even though they are the most frustrating fish ever, I can’t wait for the weather to warm up and get back down there for another bash. So after blanking yesterday, I was hoping for better things today, I got out the pond and there were a couple of anglers missing today as Jamie P and Paul H had already committed to another match, Les had managed to get the Colonel to fish for Paul which meant we were only one short today. Blaker had picked the envelope for the days peg rotation and my home for the next six hours would be peg 4 and with Jamie P absent, it meant the peg next door would be vacant which is always a bonus. It was overcast and actually quite cold and I wasn’t sure my normal shallow approach would work today, I’d still try it for a bit though. The wind was quite strong and blowing down towards pegs 1 and 20. 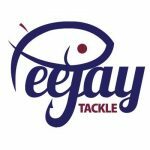 I set up the same three rigs as last week, an inline dibber for up in the water, a little Trabucco float for down the edge to my right towards the empty peg and a 0.4 gram Drennan Carp for the 5 metre line but once again I never picked it up all day! Les started the match with a toot on his whistle and we were off, I started on the shallow rig with a 6mm banded pellet about 18 inches deep at 11.5 metres and started feeding a few 6mm’s while lifting and dropping the rig. I also started feeding some 6mm meat on the 5 metre line and down the edge. 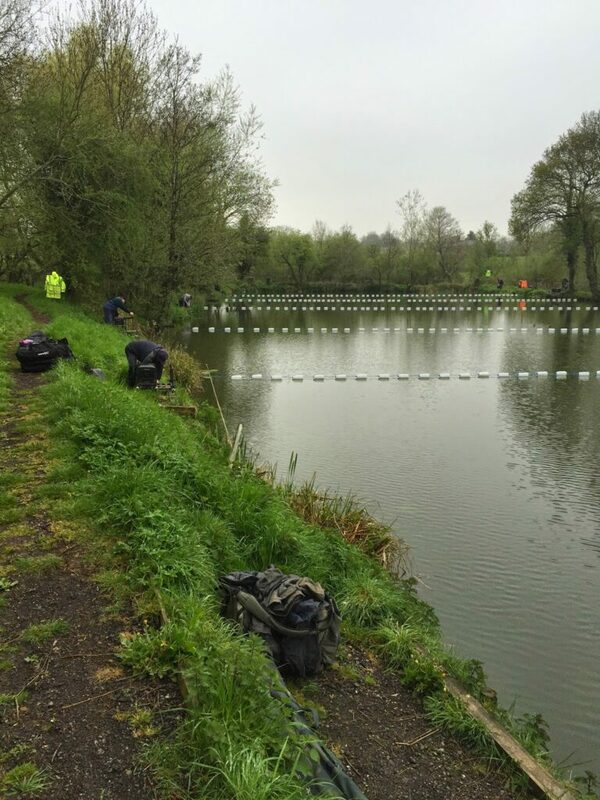 Bish down on peg 19 was into carp quite quickly and Exeter Mike up in corner peg 11 was off to a flying start landing several fish quite quickly. I was getting the odd indication and had my first carp after about half an hour, Picky on my right had one and so did Chilly in peg 6. There were quite a few fish being caught and I added a second as the first hour came to a close. I was still feeding both my other lines with a few pieces of meat but wanted to leave them for as long as possible for trying them. Early in the second hour I lost a foulhooker before catching carp number three and then Picky had his third one and we were neck and neck. Bish and Mike were still getting odd fish and Oz looked to be getting some good fish shallow up on peg 7. By the halfway mark I had only added one more fish and lost another foulhooked fish but apart from Bish, Mike and Oz nobody seemed to be catching that well so I decided to have a first look on the inside line with 6mm meat on the hook. After about five minutes the float buried and I was soon netting carp number five, next chuck I had another and there were obviously a few fish there. I had another four fish and lost one but the last one went through the lilies and splashed about quite a bit before I got it out and the swim died after that. Bish was still getting odd fish and was landing some proper lumps and Hainsey down in peg 2 was now starting to catch as well. Picky and Chilly were now struggling although Dunner and Andy Bayley opposite were starting to get odd fish. I went back out on the shallow rig and hooked what felt like a much better fish nearly straight away but it just kept going and snapped the hooklength. After tying on another I’ve hooked carp number eleven which turned out to be foulhooked. With half an hour remaining I’ve gone back down the edge, hoping I might snare a couple more, I did miss two bites but I didn’t add to my tally before the end of the match. I packed up and as I headed back to the car I asked how the others had got on, Hainsey had twelve carp, Bish had a similar number but had caught some big fish and Hoff in peg 1 said he had ten fish but reckoned he had several smaller fish. It looked like it was going to be close weights again and when Exeter Mike got back to his car and said he’d had twelve carp, I started to think I might miss out as I knew I had smaller fish than last week. 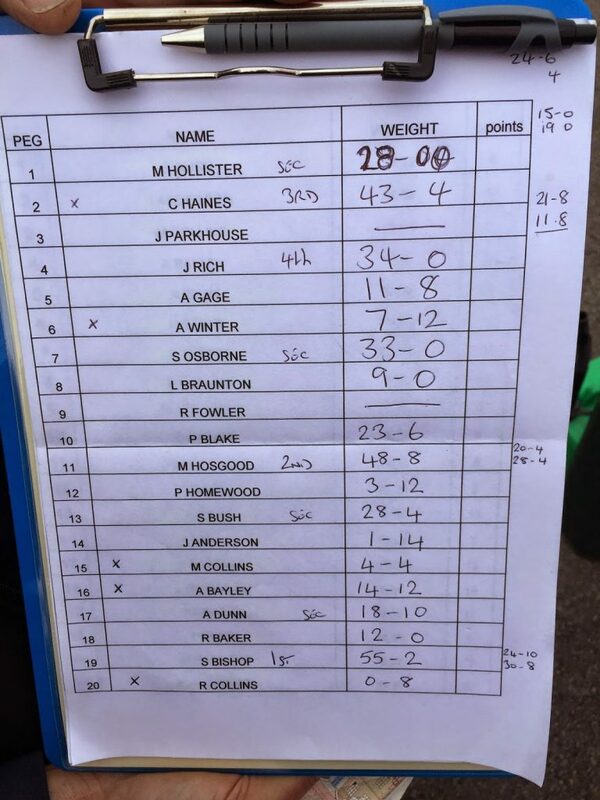 The scales soon arrived at peg 1 and Hoff weighed a level 28lb, then Chris plonked 43lb 4oz in the weigh sling, then with peg 3 not taken, it was my turn and after two weighs my total was called at 34lb. Picky had 11lb 8oz and handed over his nugget and as long as Hainsey framed, I should get the section by default. Chilly had 7lb 12oz and then Oz in peg 7 only had eight fish but had some lumps for 33lb, Les had some big eels and a couple of carp for 9lb, Rocking didn’t weigh and then Blaker had 23lb 6oz in peg 10. Exeter Mike then went into the lead with 48lb 8oz, the Colonel only had one carp and then Bushy had 28lb 4oz. Janders had one small carp and hadn’t enjoyed himself very much and then Mike Collins had 4lb 4oz on the feeder in peg 15. 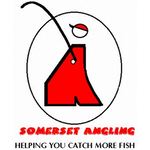 Andy Bayley weighed 14lb 12oz and then Dunner had 18lb 10oz and Butch weighed 12lb in peg 18. Then we got to Bish and his first net went 24lb 10oz before he pulled out his second net which pulled the scales round to 30lb 8oz to give him a total of 55lb 2oz and the lead with one peg left to weigh, Richard Collins had struggled in peg 20 for a few ounces so Bish had won and I’d actually managed to hang on to fourth place and picked up a very welcome £40.